Thrupp Tyres is owned by two friends, Jim and Chris, who are both motoring enthusiasts, Jim being a classic car and bike enthusiast while Chris is a classic car enthusiast and historic car racer. Between them, they own classic cars, historic racing cars and motor bikes. Chris is the retired director of a large local engineering company while Jim has had twenty six years of experience in the tyre business in and around Gloucester and Cheltenham. 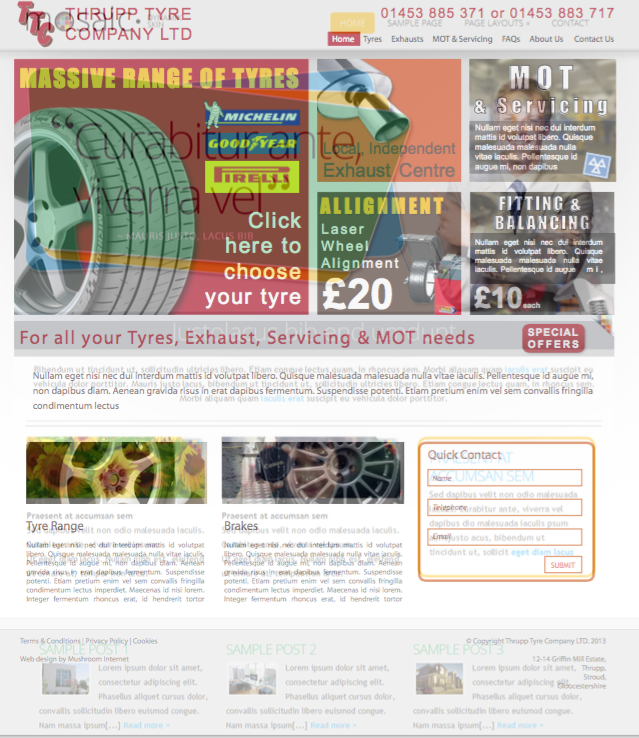 They both felt there was room in the market for a small, helpful and honest tyre supplier where good and friendly service is offered and prices are low.